The H Upmann Magnum 50 is an elegant Cuban medium smoke, of Double Robusto format, 50 ring gauge, 6.3" (160mm) long and comes in cabinet of 50 cigars. 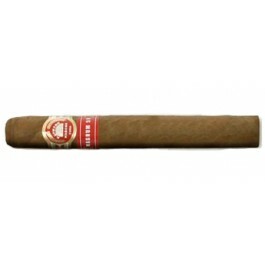 Very elegant, it has all the characteristics and taste of a H Upmann cigar. A superb cigar that any cigar connoisseur ought to try. Released as a Limited Edition in 2005, due to its huge success, Habanos decided to make it a standard production in 2008, to the delight of its many aficionados.